If home is where your heart is, then Lifestyle is the perfect place for your home – and you. A unique concept keeping in mind the needs of the quintessential modern day woman, the stores specialize in elegant home décor, designer furnishing and personal accessories in line with the latest market trends. It is a one-stop destination with everything from nifty items to sophisticated showpieces. Step into a store today to experience a world of unparalleled products, unbeatable value and dedicated quality-driven staff. Products range across lighting, bath décor, makeup, perfumes, fashion accessories, handbags, teen décor, school bags and spa products.Across the region, there are Lifestyle stand-alone stores and those within Centrepoint as shop-in-shop stores. Their presence in Centrepoint enables them to offer their customers a comprehensive shopping experience that reflects their range of brands and products. 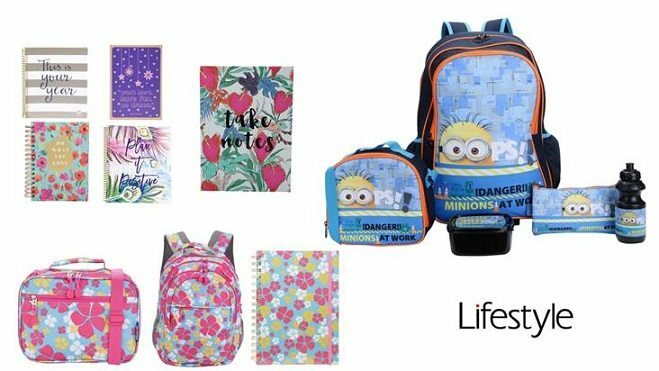 Discover all the latest trends and shop from Lifestyle’s cool and vibrant range of bags, bottles, notebooks and all other essentials for an amazing school year ahead!Lifestyle has come out with quick … see more..